Jeff 'n' Angel: Who hijacked Malaysia's RM207 Billion??! Is Dr Mahathir Mohamad going to take the same “silence is golden” stand as Najib Tun Razak and his infamous diamond-loving wife Rosmah Mansor when cornered by an issue? 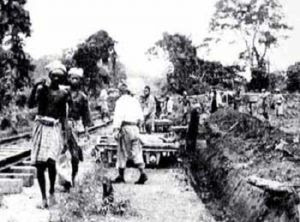 The revelation by the Japanese Embassy that it had paid compensation to the Malaysian government for families of victims of the so called “Death Railway” project in the 1940s is shocking. The sum of RM207 billion or whatever the amount must be revealed by Mahathir. He was close to the Japanese government and corporate sector when he promoted his Look East Policy aimed at enhancing trade with Japan. The money, believed to be amounting to RM207 billion, was meant to be distributed to some 30,000 Malaysians who had been recruited as forced labourers by the Japanese to build the Thai-Burma rail link. This means each affected family is entitled to receive between RM2.8 million and RM3 million as compensation. The stinking part of the Umno-led Barisan Nasional federal government is that the public is today unaware of the compensation payment by the Japanese. 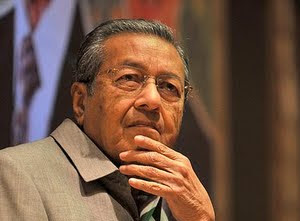 We would have thought Mahathir would have brought the money back from Japan in triumph, like a victorious Roman general. Umno would have organised a huge gathering of the victims or their families and distributed the money. No, it was all covered in secrecy. The money rightfully belongs to the victims of the “Death Railway” project and their families and to rob them is despicable. The money is believed to have been transferred by the Japanese government to Malaysia in the 1990s. This means it happened during Mahathir’s 22-year reign. Who then has hijacked or stolen the money? It is no small sum and surely Mahathir cannot expect us to accept his infamous “I cannot remember” or “I am unaware of such compensation money from Japan”? This time, Malaysians cannot accept his “selective loss of memory” or “selective amnesia”. Whoever stole the money from the 30,000 dead Malaysians is/are worse than animals, hitting the depths of greed. The government must immediately set up a national probe team to track down the thief/thieves to recover the money and for prosecution. Surely there are paper trails, beginning with the transfer/s from the Japanese to the Malaysian government. Meanwhile, Japan can do further justice to the 30,000 Malaysian forced labourers who died in the “Death Railway” project by revealing their identities so that their families are traced. 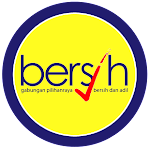 And, as for Mahathir who said five years of Pakatan Rakyat-rule is dangerous because BN will have no chance to return to power, I say, “Good riddance”. After 55 years of misrule, it is time to retire Umno permanently. With mounting and rising federal debts at RM620 billion or 74% of the Gross Domestic Product (GDP), meaning the BN is operating way above the 55% federal debt ceiling, that is more dangerous to Malaysians and the country. If, for some reason, our oil wells suddenly run dry, we will immediately be deemed a bankrupt nation and untold misery would befall all Malaysians. Also, a point to show why Pakatan is more dependable is that the financial management of the Pakatan states, debuting in 2008, has been acknowledged by the Auditor-General as more superior than the states governed by the BN. And Mahathir’s silence over reports of his allegedly US$44 billion (more than RM132 billion) in accumulated wealth is even more dangerous. And with him now seemingly trying to engineer his son, Mukhriz, to rise as prime minister by or before the 14th general election, it is the ultimate danger for Malaysians and Malaysia.